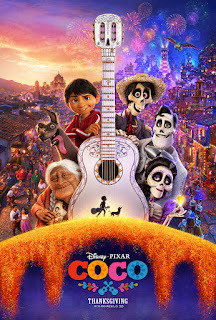 Although there has been a perplexing ban on music for generations in his family, young Miguel ( the voice of Anthony Gonzalez) dreams of becoming a famous musician like his deceased idol Ernesto de la Cruz (Benjamin Bratt). Thanks to a magical circumstance during the Mexican holiday Dia de los Muertos, Miguel is transported to the Land of the Dead. Here he meets the happy-go-lucky Hector (Gael García Bernal), who guides him on a quest to discover his destiny. Following the death of Superman/Clark Kent (Henry Cavill), chaos ensues. 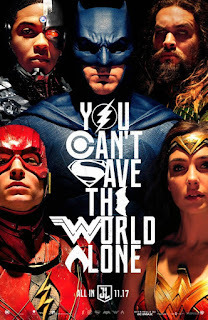 Batman/Bruce Wayne (Ben Affleck) seeks help from Wonder Woman/Diana Prince (Gal Gadot), The Flash/Barry Allen (Ezra Miller), Aquaman/Arthur Curry (Jason Momoa) and Cyborg/Victor Stone (Ray Fisher). 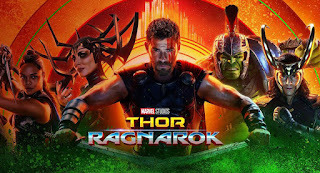 Centuries-old villain Steppenwolf (the voice of Ciarán Hinds) has returned to Earth looking to combine three hidden and guarded boxes of energy that will turn the planet into his world. The superheroes unite to save humanity. A triple murder in a small Alaskan town creates an atmosphere of fear. 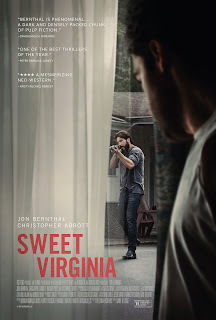 Elwood (Christopher Abbott), a stranger in town, checks into the motel run by former rodeo champ Sam (Jon Bernthal). Discovering they both have ties to Virginia, an uneasy friendship is formed. But the aftermath of the violent deaths leads to more trouble. 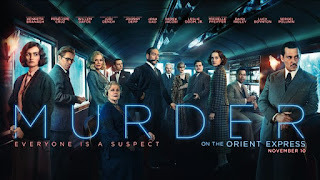 A murder occurs on the Orient Express and famed Belgian detective Hercule Poirot (Kenneth Branagh) is on the case. His suspects include all of his fellow passengers and the crew on board. When this train ride through Europe gets halted by an avalanche, Poirot has his hands full trying to unmask the killer.